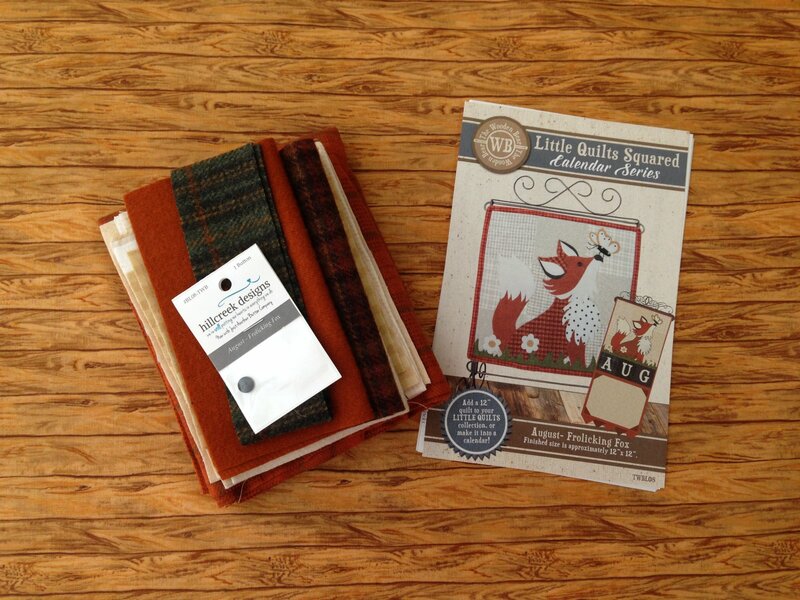 The Wooden Bear "Little Quilts Squared" calendar series, August - "Frolicking Fox" wool appliqu? kit. Kitted by Sew Blessed. 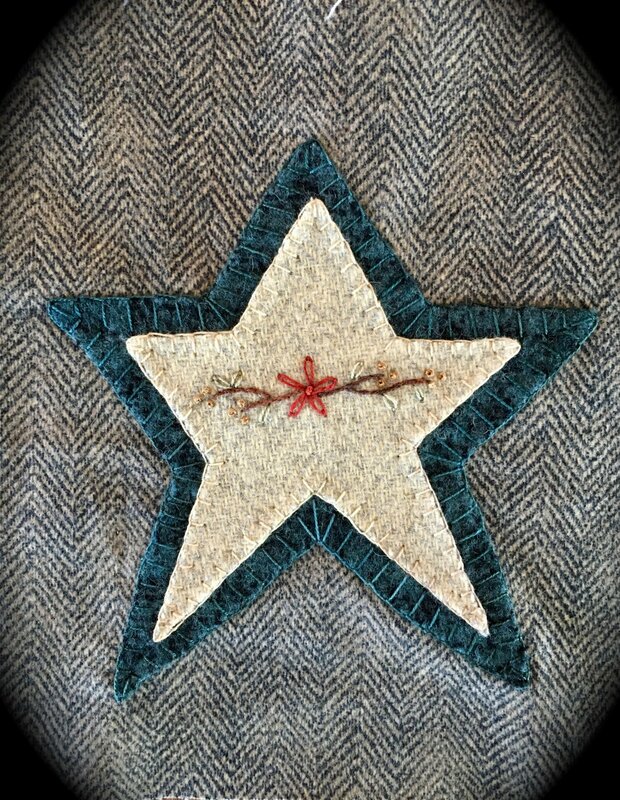 Pattern, flannel for background, backing and binding, wool and button included. Finished size is approximately 12" by 12". On the Bright Side Kit includes wool in cream, yellow, purple, blue and greens, pattern, and backing fabric. Thread not included. 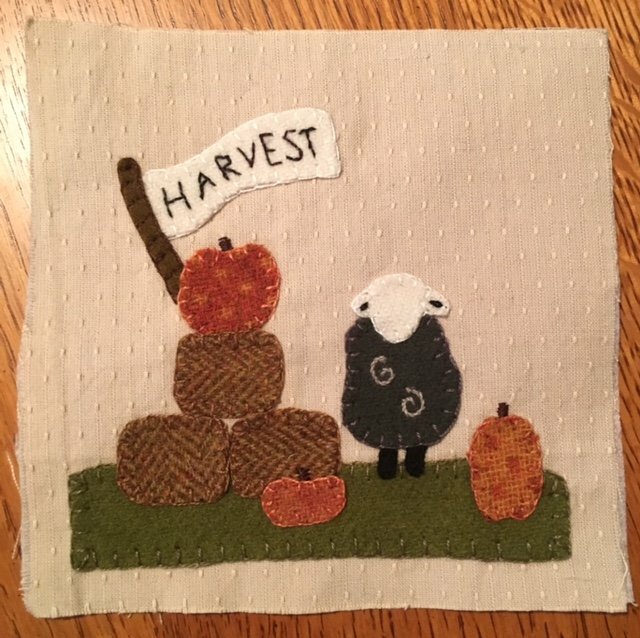 Finished size 6"x12"
All Year Round Fall by The Woolen Needle Wool Applique Kit. Finished Size is 28" in diameter. Kit includes pattern, wool and flannel background fabric. Floss not included. 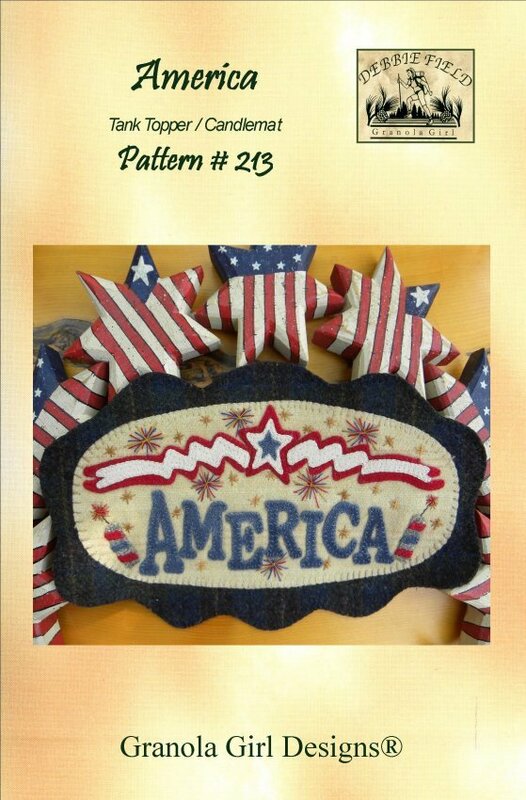 All-American Quilt Kit with Wool Applique. Finished Size is 56" X56". 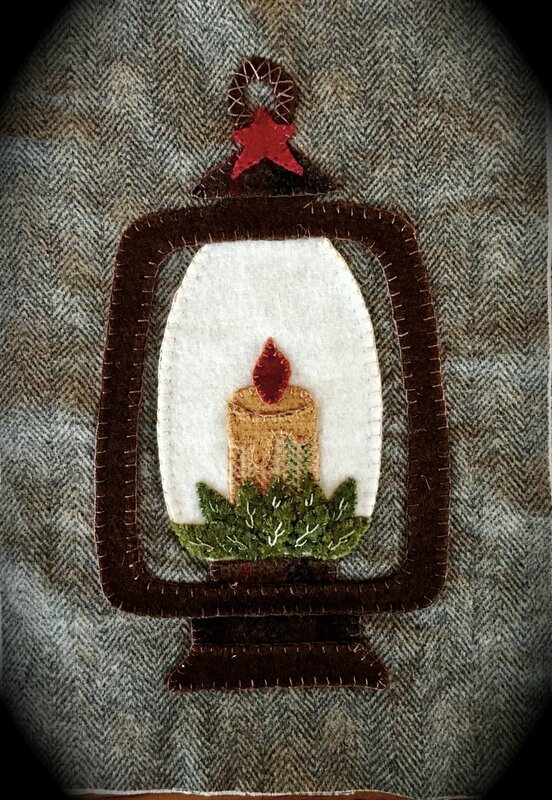 America Candle mat Wool applique by Granola Girl Designs. Finished Size is 7" X 13" Oval. Angel Tree Skirt by Primitive Gatherings wool applique kit. Pattern in Christmas Gatherings. Finished Size is 18" X 18". 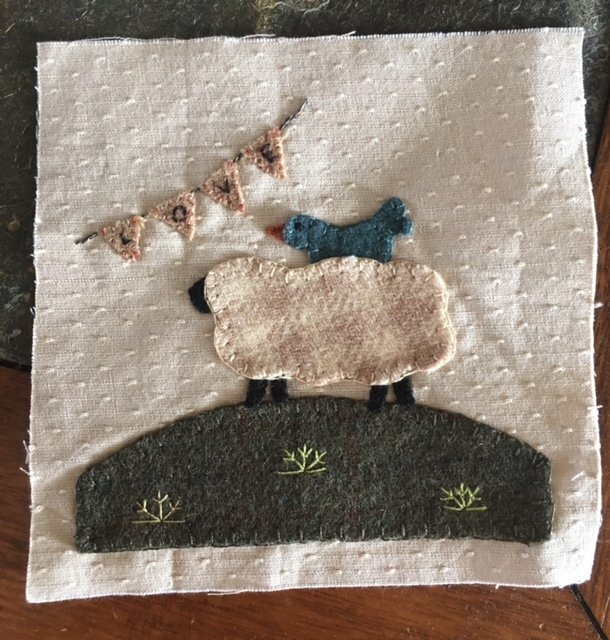 Kit includes pattern, wool and backing fabric. Floss and book not included. 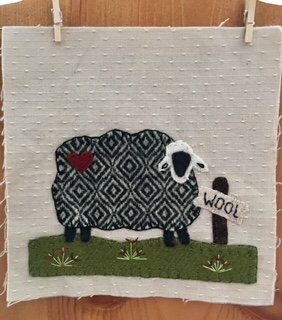 Wool applique on flannel block of the month. Blocks include fabric & wool. Pattern and floss not included. 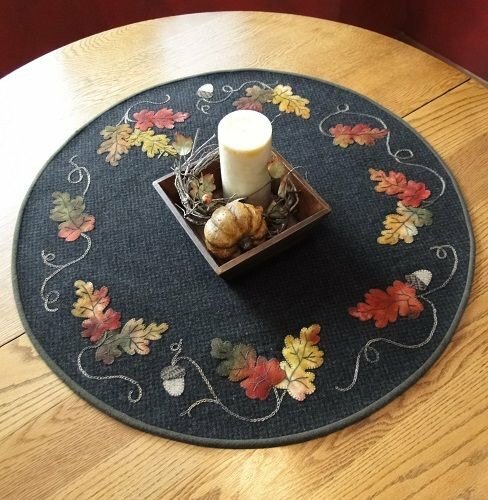 Autumn Splendor by Timeless Traditions. Finished size is 17" X 34". 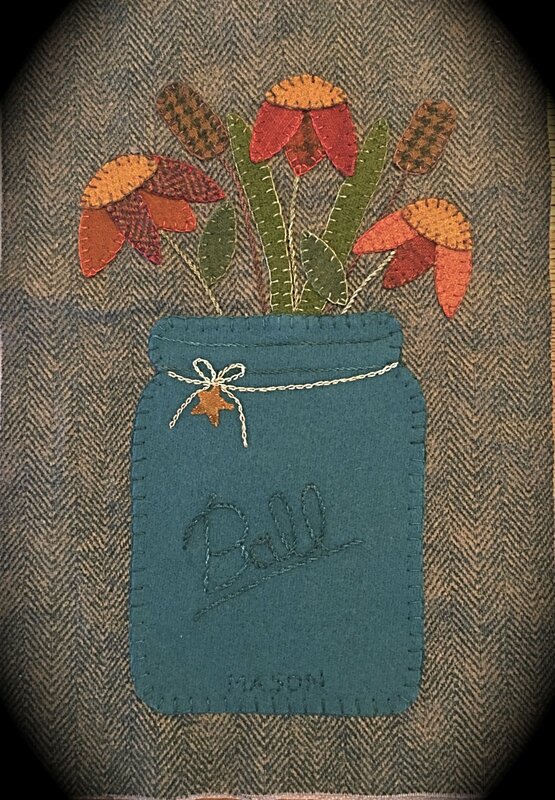 Kit includes pattern, wool and cotton fabric for wall hanging, binding and flannel backing. Floss is not included. 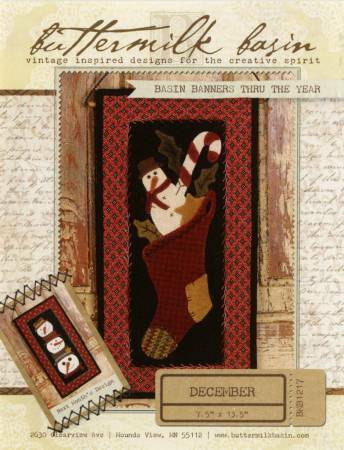 Basin Banners thru the Year December Christmas Stocking Kit by Buttermilk Basin. Finished size is 7.5" X 14.5". 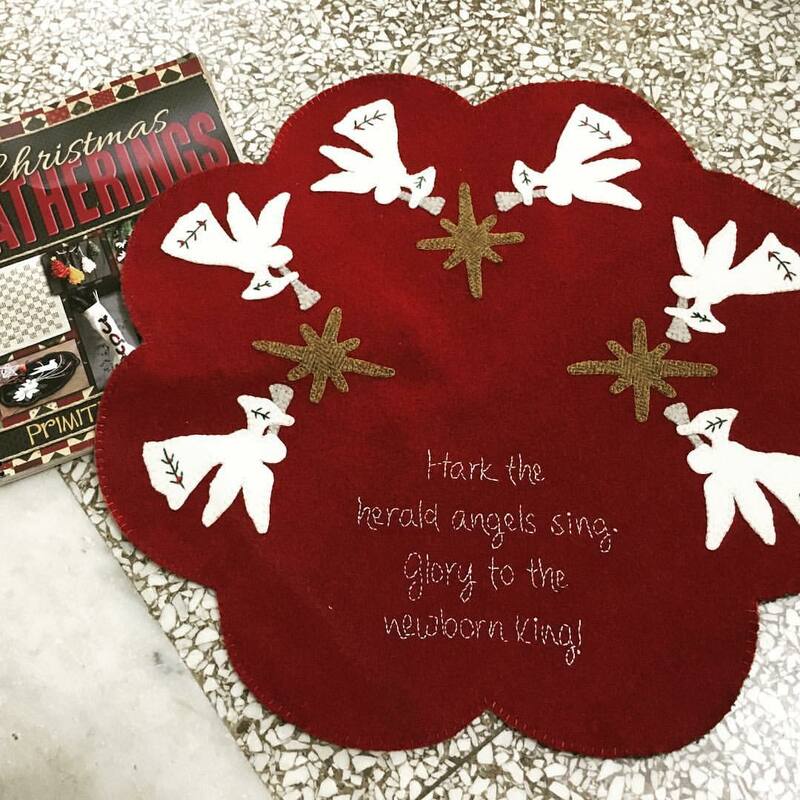 Kit includes pattern wool and backing. Basin Banners Thru Year/Aug by Buttermilk Basin. Finished size is 7.5" X 14.5". Kit includes pattern wool and backing. Be Thankful Wool Kit. 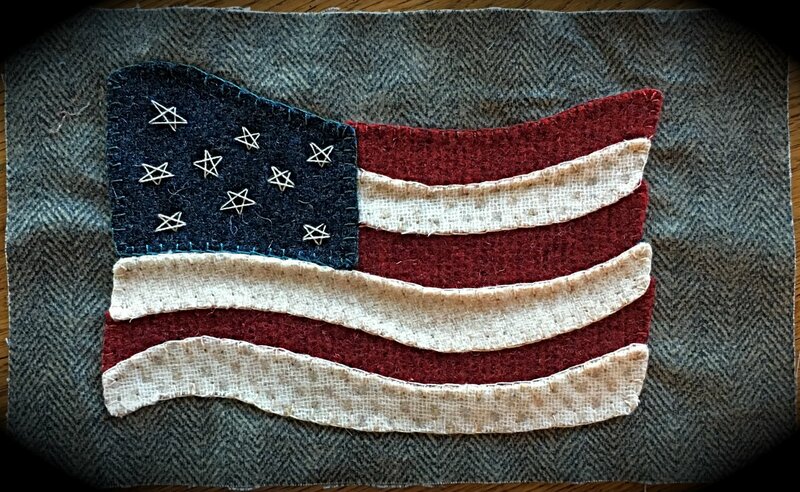 Pattern by Cottage Creek Quilts. Finished Size 11 1/2" X 30 ". 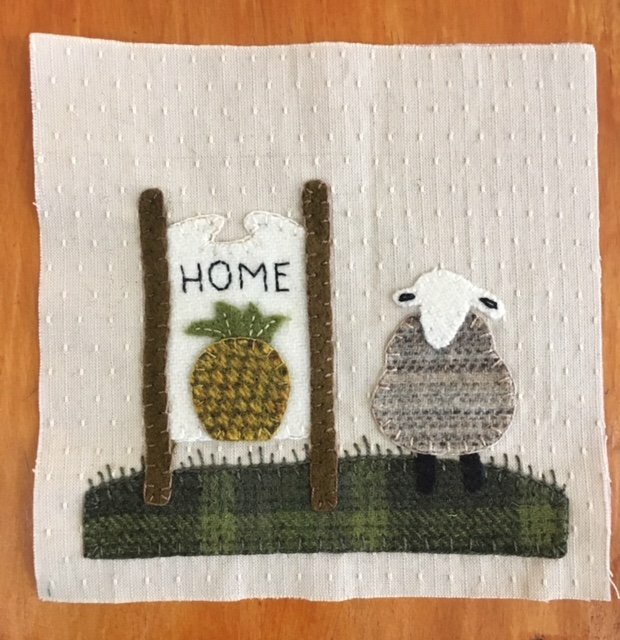 Kit includes, pattern, wool for applique and flannel background fabric. Flannel Binding is also included. Floss and backing fabric is not included. Best Of Show kit by Threads that Bind. 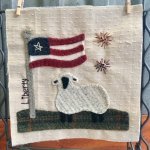 Kit includes pattern, wool, and background fabric. Thread not included. Finished size 16" x 20". 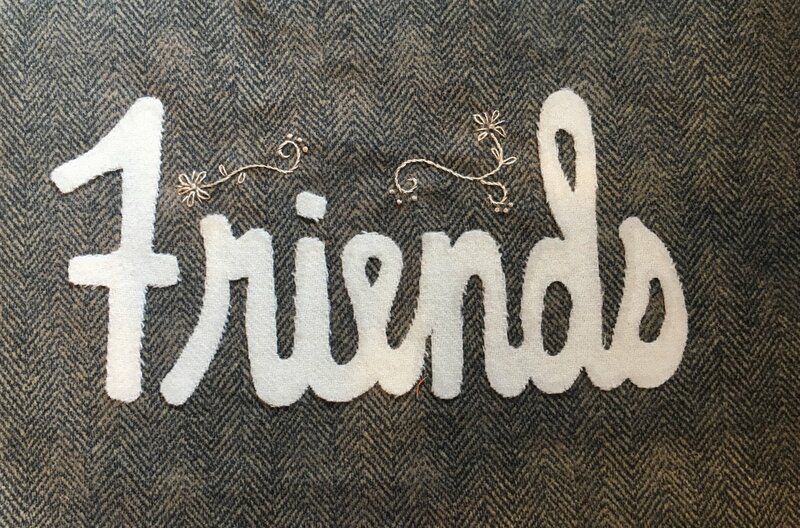 The perfect piece to frame or make into a pillow! 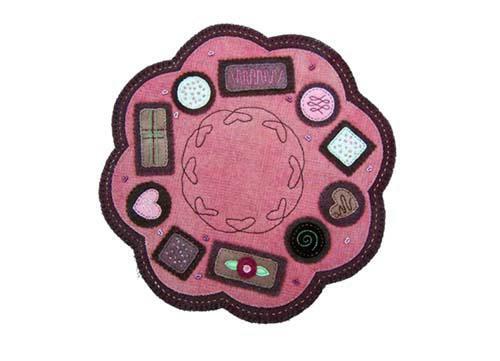 Chocolate Delight by The Little Red Hen wool applique kit. Finished size is !2" circle. Kit includes pattern and wool. 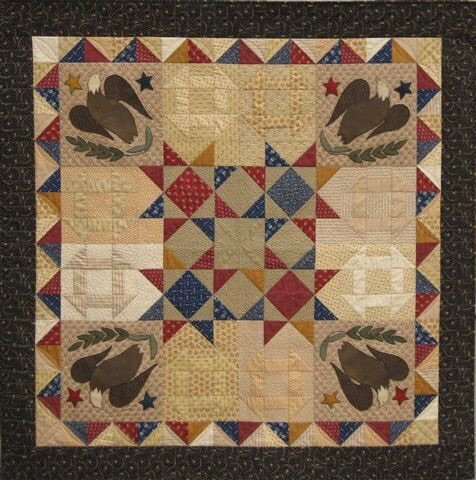 Count Your Blessings Block 7 kit. Finished size 6" x 6". 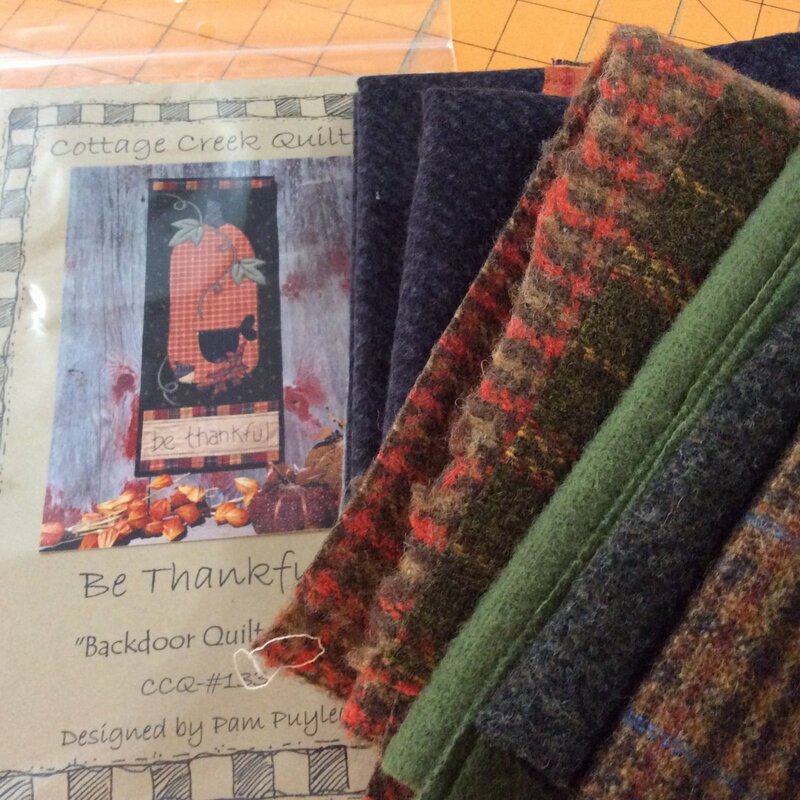 Kit includes background fabric, wool, & pattern. 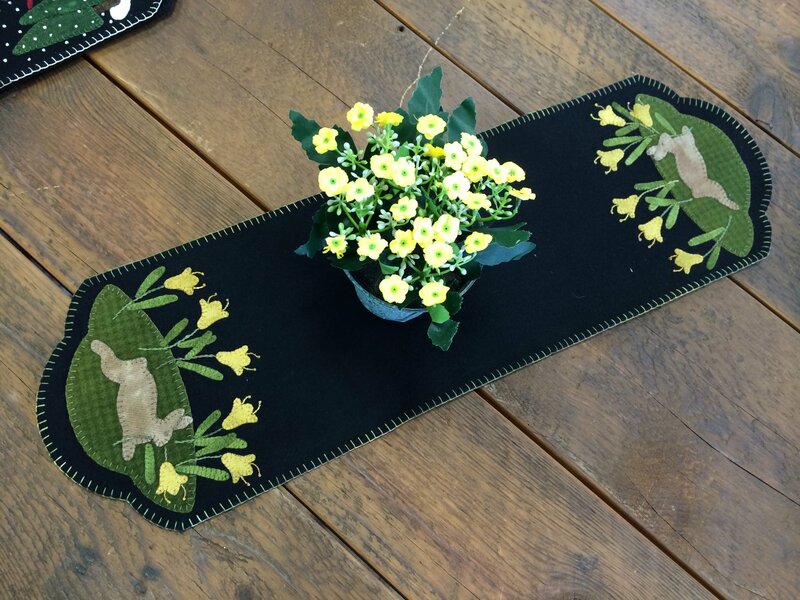 Daffodil Dance Table Runner Wool Kit by Primitive Gatherings. Finished Size 8 1/2" X 26". 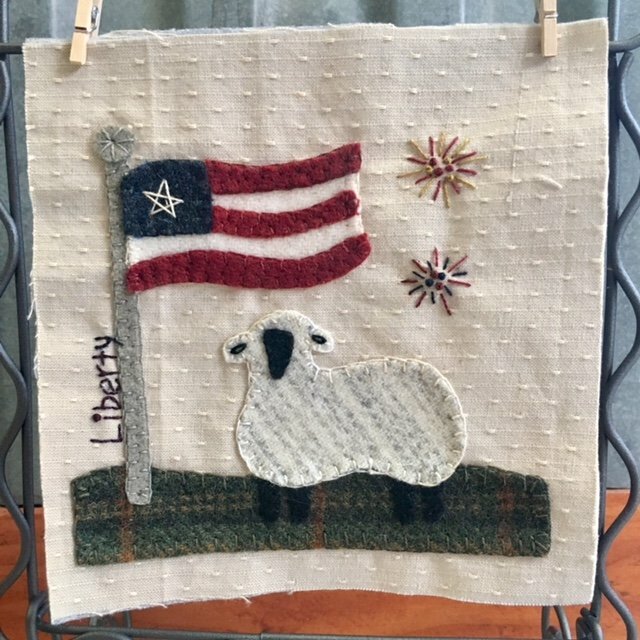 Kit includes pattern, wool, and backing fabric. Floss not included. Please note we substituted a light tan background for the black background shown in photo. Faith, Family, Friends Mystery Block #11. Finished size 7" x 11". 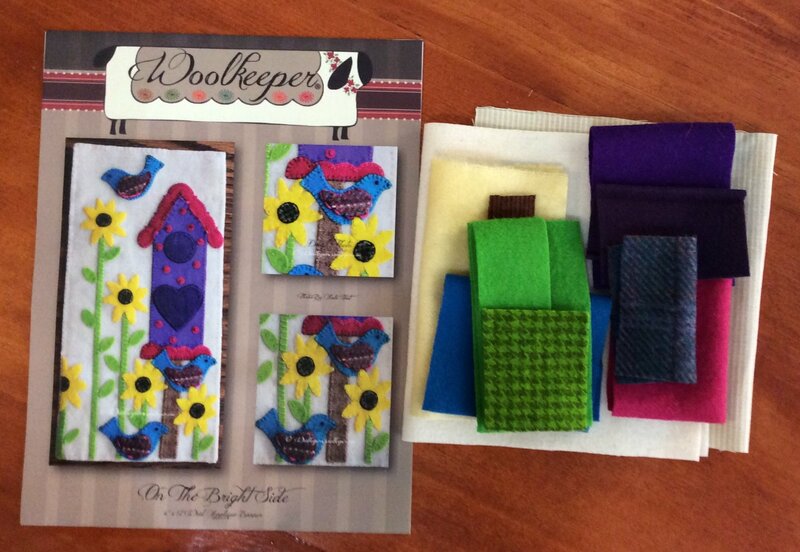 Kit includes background fabric & wools. Pattern not included. 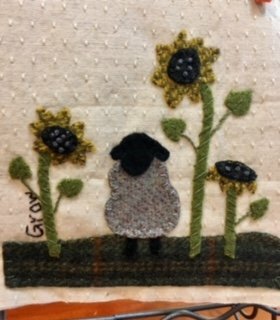 Pattern is available free for 30 days in Wool Applique group on Facebook. Join us for the 2018 Mystery Block of the Month - Faith, Family, & Friends. 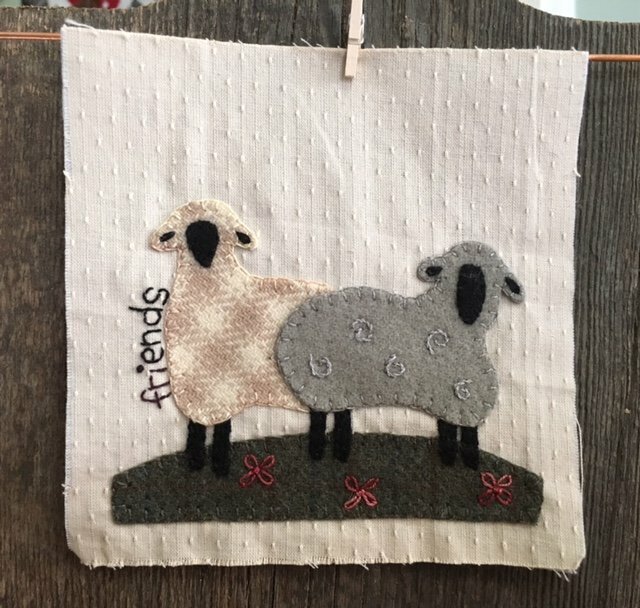 Block 2 kit includes flannel background & wools and finishes at 8" x 12". Floss not included. A Valdani thread kit is available to coordinate with the BOM. 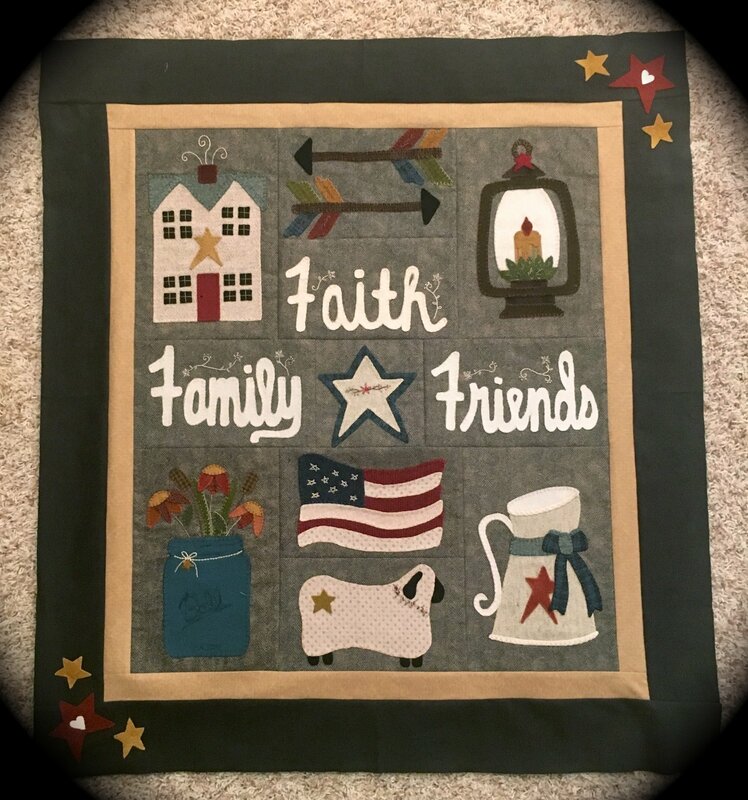 2018 Mystery Block of the Month - Faith, Family, & Friends. Block 3 kit includes flannel background & wools. Finishes at 8" x 12". Floss not included. A Valdani thread kit is available. 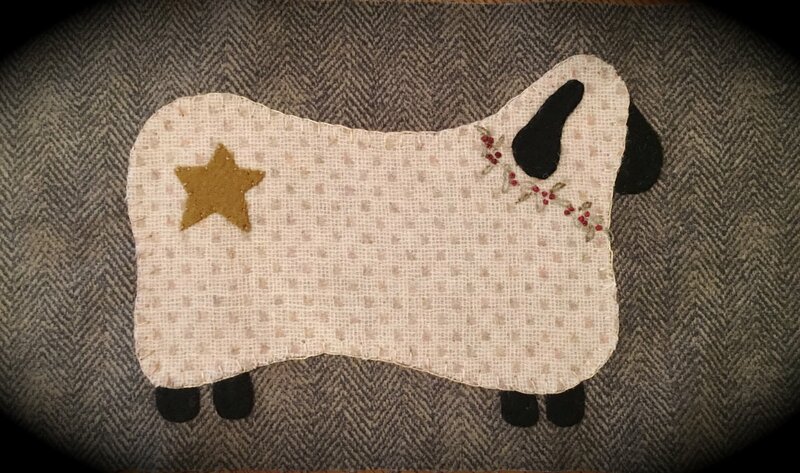 Pattern is available free for 30 days in Wool Applique group on FB. 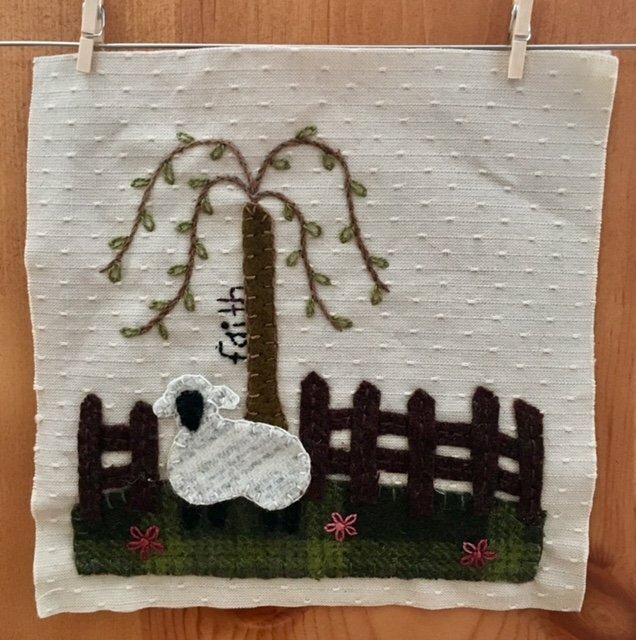 Finishing pattern and kit for the 2018 Mystery BOM - Faith, Family, Friends! 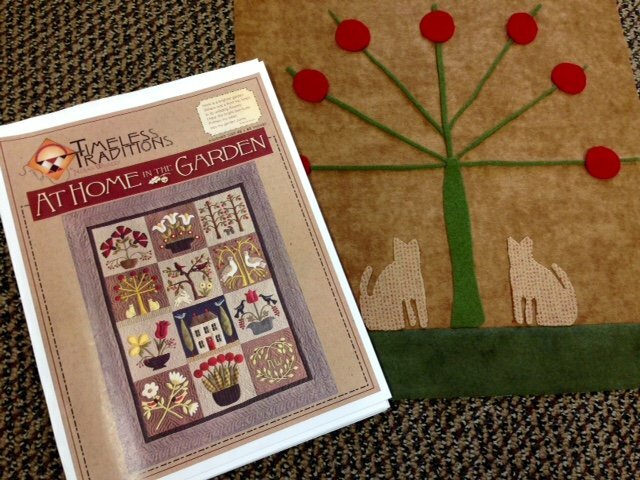 Kit includes wool, border fabrics, and binding. Pattern not included. 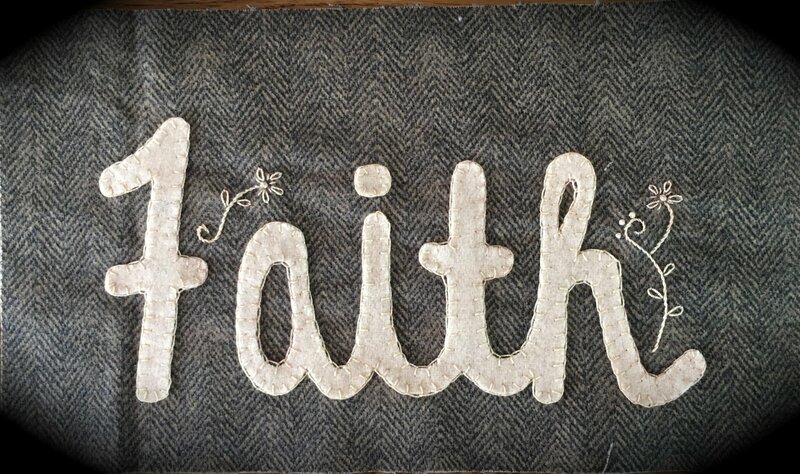 Join us for the 2018 Mystery Block of the Month - Faith, Family, & Friends. 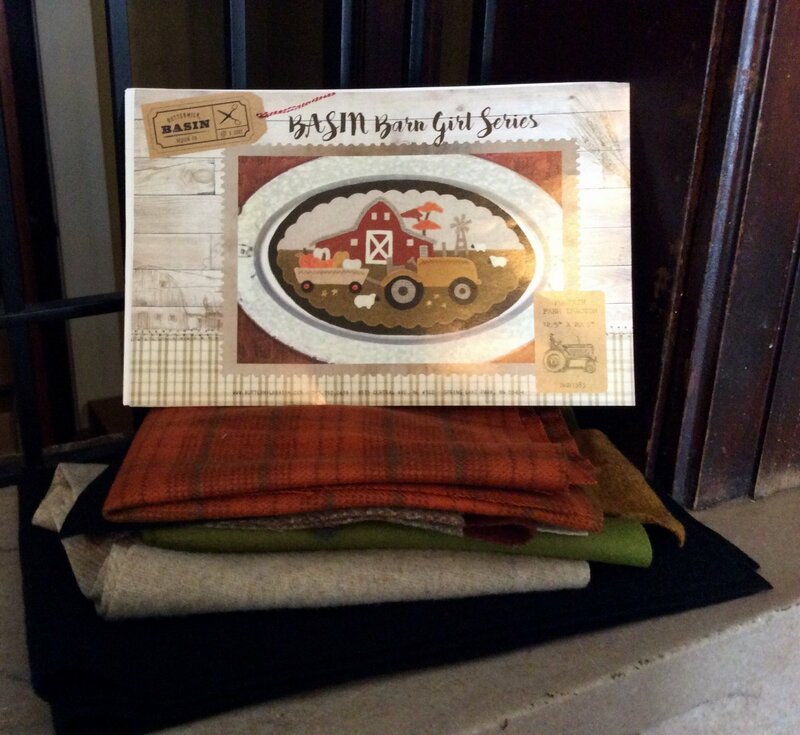 Block 4 kit includes flannel background & wools and finishes at 8" x 8". Floss not included. A Valdani thread kit is available to coordinate with the BOM. Join us for the 2018 Mystery Block of the Month - Faith, Family, & Friends. Block 5 kit includes flannel background and wool, and finishes at 9"x13". Floss not included. A Valdani thread kit is available to coordinate with the BOM. 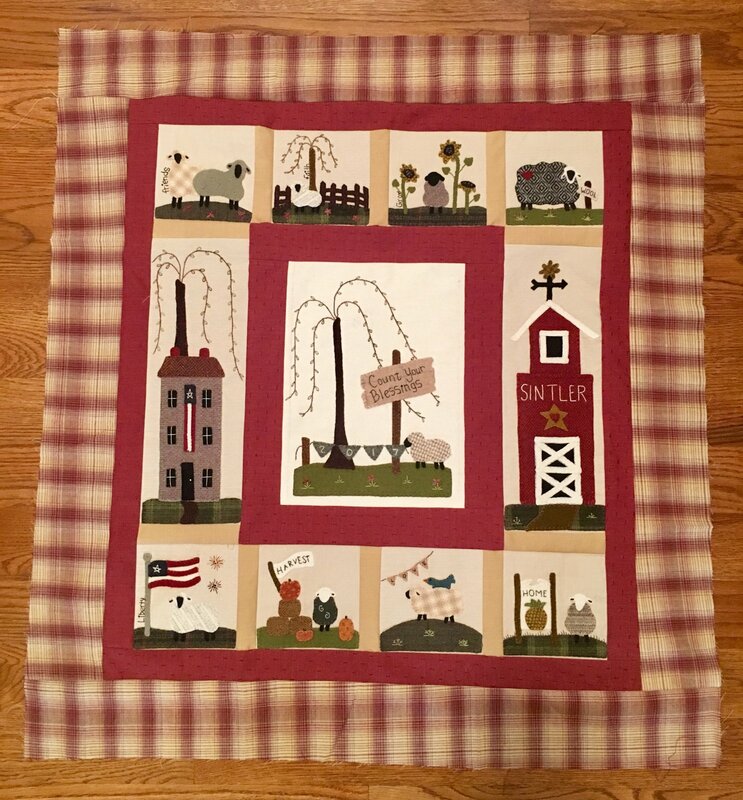 Join us for the 2018 Mystery Block of the Month - Faith, Family, & Friends. Block 6 kit includes flannel background and wool, and finishes at 8"x12". Floss not included. A Valdani thread kit is available to coordinate with the BOM. 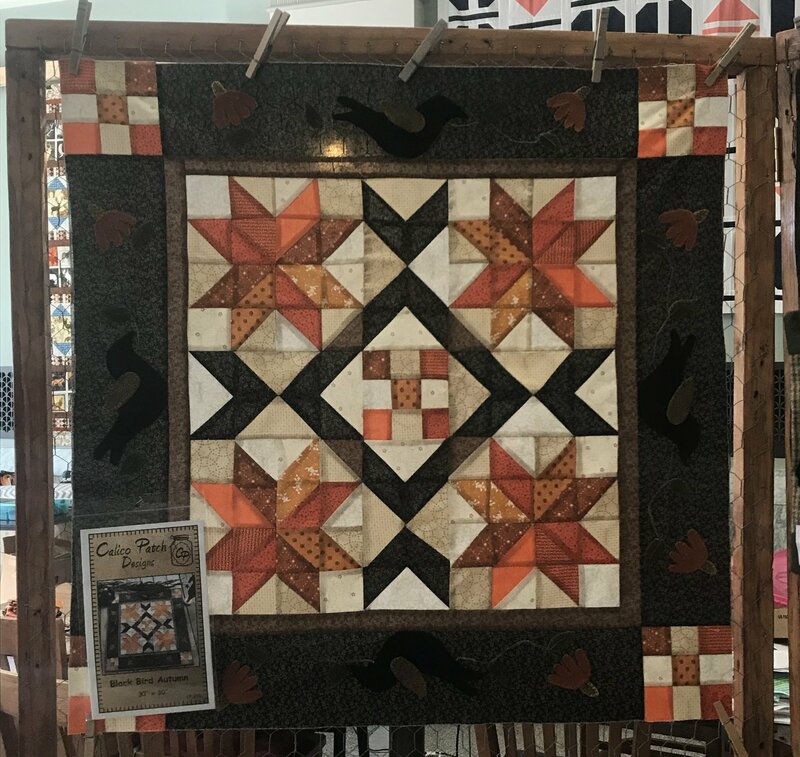 Join us for the 2018 Mystery Block of the Month - Faith, Family, & Friends. Block 7 kit includes flannel background and wool, and finishes at 6" x 10". Floss not included. A Valdani thread kit is available to coordinate with the BOM. Join us for the 2018 Mystery Block of the Month - Faith, Family, & Friends. Block 8 kit includes flannel background and wool, and finishes at 6" x 10". Floss not included. A Valdani thread kit is available to coordinate with the BOM.